On Wednesday night UK time Manchester United overcame a two-goal deficit to beat PSG in Paris. This was another famous night in the Champions League for the English side. It was even more impressive given the number of youth players presented with a chance due to injuries. One of these players who should be of interest to Asian football fans is Tahith Chong as he could be a future star for China. The player as the hair that is hard to miss and the skills on the pitch that means it's hard to avoid him. Already at the young age of 19-years-old big things are expected of him. 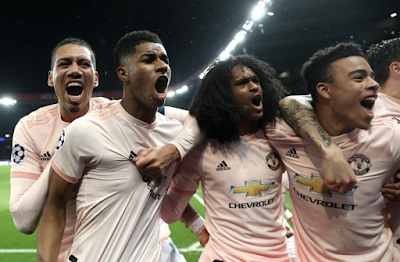 The trust his manage Ole Gunnar Solskjaer as he was clear when he brought him on with ten minutes to go in the Champions League last 16 ties away to PSG. The winger was born on the Dutch Caribbean island of Curacao and came through the youth ranks at Feyenoord until three years ago when he was signed up by the Manchester club. Although the player qualifies to play for Holland, he does have Chinese Grandparents meaning he could play for China too. The scenario of him ever playing for China seems unlikely but a player of Asian descent doing so well on the European stage it still something to look forward to. If you are a football fan look out for him at any rate as he is a great talent. The Manchester United head coach said this on Chong and his teammate Greenwood after the match. "It's nice to give Mason [Greenwood] a debut. [At the] Parc des Princes, we need a goal. "And Chong as well. He got on the ball, made a couple of runs. Fantastic to see."